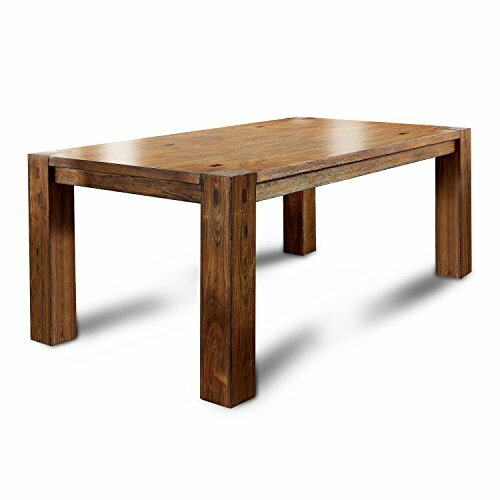 Featuring bold, natural elements, this transitional style inspired dining table will surely bring a new sense of style to any dining room. Composed of natural wooden materials, this table showcases a robust construction for lasting quality. 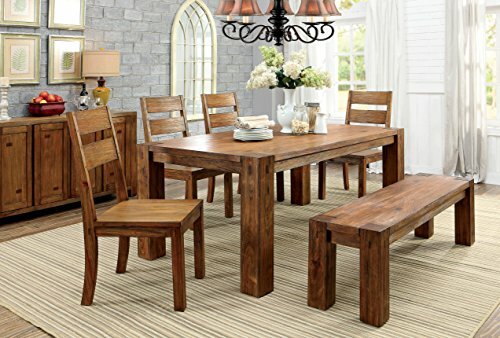 The spacious table top rests upon sturdy block legs, and comes with a natural wood grain for an earthy appeal. Finished in dark oak. Made in Indonesia, assembly required. 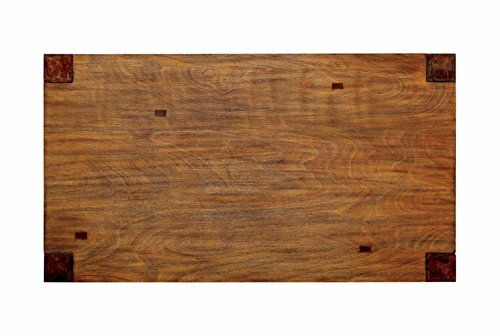 Overall dimensions: 30"h x 72"w x 40"d. All décor items are not included in this offer unless specified.